It's been a while since I've posted anything. I recently joined Pinterest, and I love that it sparks all these creative ideas, but sometimes I spend far too much time on it looking instead of doing. There are days I wish I didn't work full time, just so I could make stuff instead, but it's what pays the bills so I'll have to settle for fitting things in that are quick and easy to make. This is one of those things. 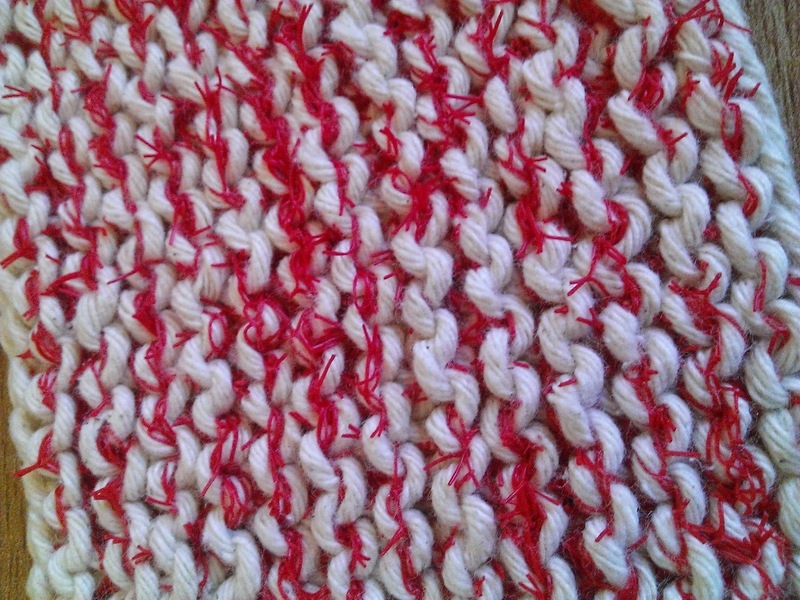 The original Knitted Dish Scrubbie tutorial calls for cotton worsted weight yarn and medium tulle. I took a look at what I could find lying around and decided I could re-purpose some items. I came up with some cotton twine I found in my kitchen drawer. The kind you use to wrap around a beef roast to keep it rolled up. I then saw I had some onions still in the netting bags they came in. 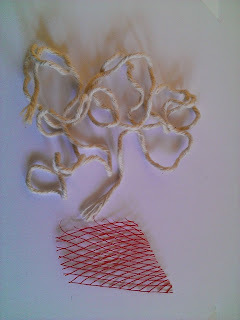 The only preparation I had to do was to take a pair of scissors and cut the netting bags into a long strip about 1cm wide. I grabbed the nearest pair of knitting needles, cast on 15 stitches with only the cotton string, and then knitted the netting along with the cotton string in plain old garter stitch for as long as I had netting available. 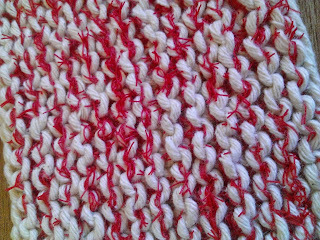 I knitted one more row of only cotton sting before casting off. 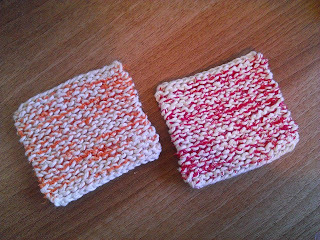 Turns out I had just enough string to make two scrubbies. 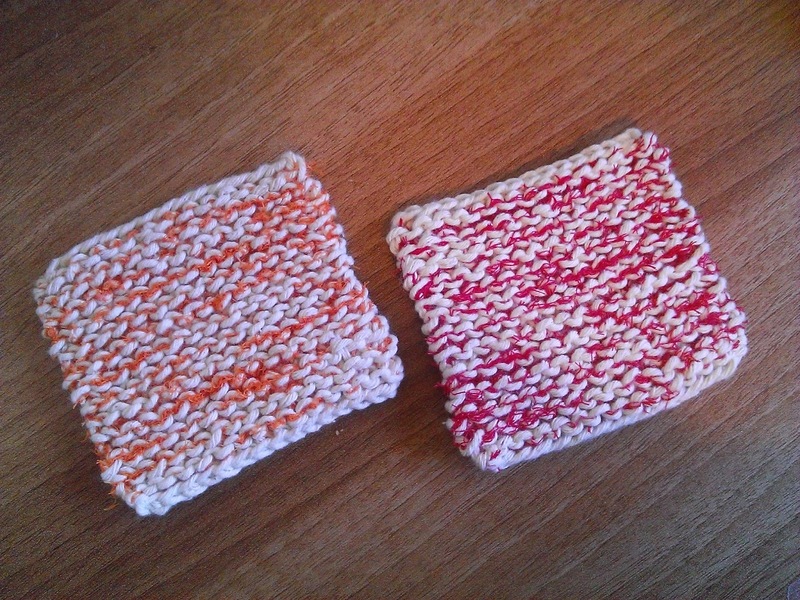 I ended up with 26 rows, giving me a scrubbie measuring 8.5cm wide by 8cm long. They took about an hour to make last night, and I feel good about recycling the netting, which would normally end up in the bin for landfill. They feel really firm in your hand, probably because the tension is really tight. They are rough enough to take the grime off, but will not scratch your non-stick pans. The good thing about them being 100% cotton is that you will be able to pop them in the dishwasher to clean and they won't shrink. Here's a close up to inspire you to rummage around and see what you can do. Hi Tracy, I have come to the conclusion that looking/researching/browsing knitting and crochet patterns is as much fun as knitting itself! There are so many projects I would love to make - I doubt they would fit into my life time! Tell me about it. I have a Pinterest board full of things that I want to make, or that have sparked an idea.